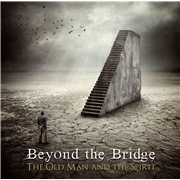 German progressive rock/metal band BEYOND THE BRIDGE has apparently been around since 1999, but for some time they were known as FALLOUT. In 2005 guitarist Peter Degenfeld-Schonburg decided to put some more effort into the band under the title of “The Old Man and the Spirit”. Five years he spent with keyboardist Christopher Tarnow, and the pair later stumbled on producer Simon Oberender (AVANTASIA, EDGUY etc.). Simon brought drummer Fabian Mayer and lead vocalist Herbie Langhans. Old mate Dominik Stotzem completed the lineup on bass. Feale vocalist Dilenya Mar was added after Peter heard her singing jazz in Munich. All of the band are trained musicians, so no time to waste. The album came to being between 2008 and 2011, so this is no quickie. Let´s check out the elaborate story. Before the story can be checked I must say that the band is capable of playing enjoyable prog with a melody. The overall sound picture is great. It is all very mature and developed. Unfortunately they are not suited to heaviness, some parts sure sound strained. The story as such seems flawless. But I doubt that I will remember this in June. Their storytelling is so polished I think it might be a problem. The lack of spark and spontaneity is hard for a professional band, and I think they will find listeners among the typical genre buffs. But since I find no songs standing out I will have to leave them as solid but somewhat stale.